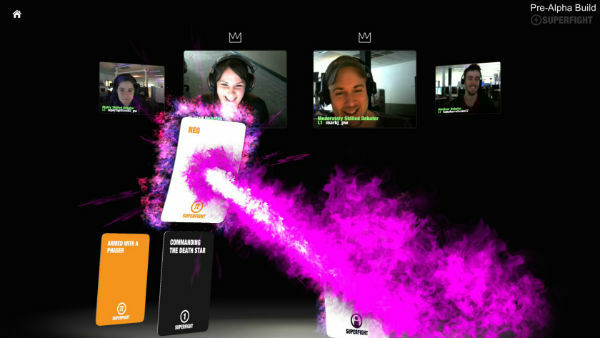 Twitch has partnered with developers who want to build audience participation-focused games, and the result is Superfight, Streamline, and Wastelanders. Twitch offered a preview of their next phase of development yesterday when they showed Superfight, Wastelanders, and Streamline - three games specifically designed to take advantage of the site's streaming capabilities. Developed in conjunction with a handful of third-party developers, each one takes advantage of Twitch streaming in some unique way. Of them all, the most successful appeared to be Superfight (Pipeworks) - a Cards Against Humanity-like game in which streamers debate whether Wolverine could beat Darth Vader while the audience votes. As a proof of concept, it was a natural fit for the platform - a game that encourages audience participation in a game show-like format. Of course, it probably won't go much further than that. My first thought after seeing Superfight was, "Where's the game?" It was a game in the sense that one streamer or another would win if their card was chosen, but it seemed to me that the audience had already made up their mind whether, say, Jack Bauer could beat Cthulhu (spoiler: he couldn't). It's a fun little social game, but its significance lies more in its potential a proof of concept. My first thought upon seeing it was that it could open the door for the return of something akin to 1 vs. 100 - the Microsoft-developed game show that ran for two seasons on Xbox Live. The other two games showcased different aspects of audience-driven gameplay. Streamline (Proletariat) is an arena-based game in which a broadcaster can create a party of up to 15 viewers and either play with them or pit them against one another. In the meantime, the rest of the viewers can vote to change the floor into lava or introduce other environmental changes. Wastelanders (Schell Games), meanwhile, is a turn-based strategy game in which broadcasters lead their viewers against other broadcasters. Broadcasters function as generals while viewers control the warriors on the pieces on the battlefield, which resembles a chess board. My main takeaway after seeing these three games in action is that simplicity is best for these games. Superfight was easy to immediately grasp and encouraged audience participation from the outset. By contrast, Wastelanders complex mechanics seemed to confuse viewers watching Twitch's promotional stream. This is uncharted territory for pretty much everyone, so it's no surprise that both Twitch and its development partners are trying to figure out what works. If Twitch Plays Pokemon and Punch Club prove anything, though, it's that Twitch is fertile ground as a game platform. In that light, Twitch's partnership with studios like Skybound Entertainment is a logical next step for a company that has come to dominate the videogame streaming space. The only question is how far Twitch intends to take this new foray into game development. For now, Twitch is coy about their future plans. 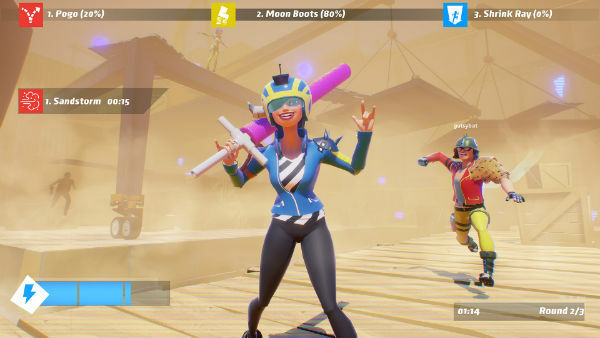 When I put the question to Twitch's vice president of developer success Kathy Astromoff, she replied, "While we never say never, our focus for now is helping third-party developers succeed." Whatever happens, it's clear that Twitch intends to take a more active role in content development, much as Netflix has taken an active role in television development. This is the first step. Tagged with gdc16,	News,	Streamline,	Superfight,	Twitch,	Wastelanders.